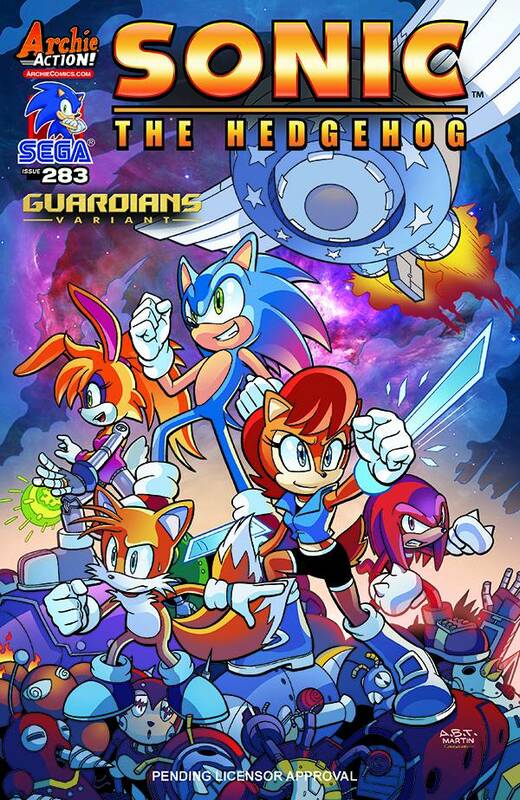 SONIC and the FREEDOM FIGHTERS are GO in 'The Mission': Sonic and Sally put out the call to the world! They have the Chaos Emeralds, they have the Gaia Keys, and now they have a plan! And the central hero to it all is? Cream?! Then, in 'Zero Hour,' Dr. Eggman finally tracks down Phage! And when Tails Doll gives the mad doctor some crucial info, will Sonic's plans for saving the world fall apart? Featuring cover art by the delightful Diana Skelly and a 'GUARDIANS' variant cover by the amazing Adam Bryce Thomas!